A pioneering study on energy sector reform and liberalization in developing countries. This comprehensive text offers a rare and insightful investigation into the energy sector of the developing world. ‘Energy for Development’ provides comparative case studies of countries going through the reform process, evaluates reform experience, discusses the lessons that can be learned and identifies challenges faced by these countries at the national and global level. A topical and timely book which seeks to explore the anxieties and insecurities of the global energy sector since 2001. 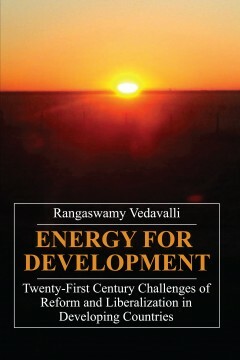 Rangaswamy Vedavalli is the former World Bank Principal Economist and Manager of Energy Operations.